I played Fallout 1 and 2 and loved the franchise ever since. 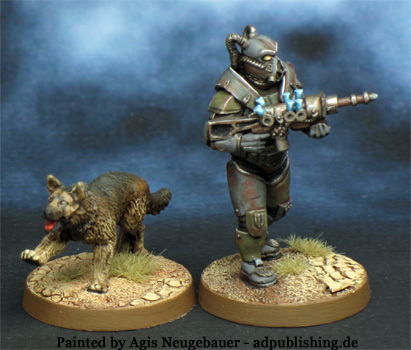 With the recent Modiphius Fallout mini game announced I dug out some old Brother Vinni NOT Fallout minis and started painting. In addition I am playing Fallout 4 atm. So here we go, the infamous Ant Powerarmour! And a group shot with mans best friend, Dogmeat! 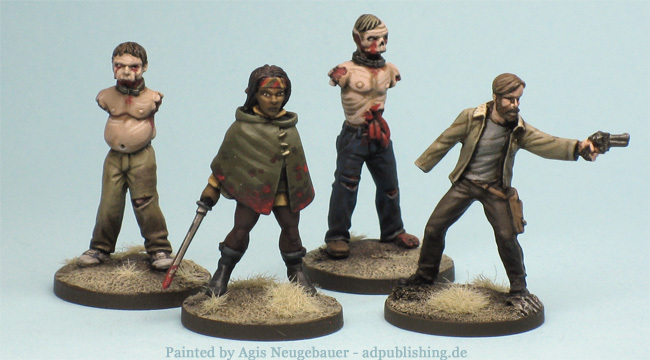 The dog is actually from the Zombicide Dog companion range. 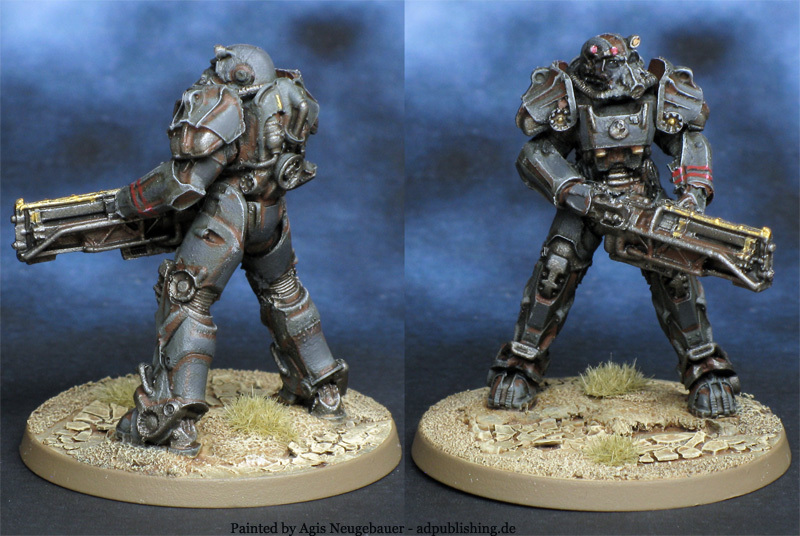 T-60a Power armour from Modiphius Fallout Warfare game line. 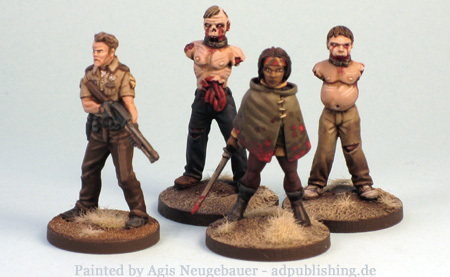 A resin mini. 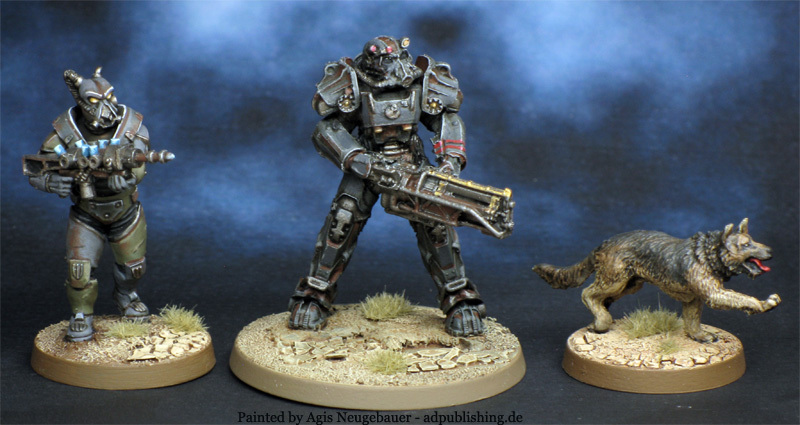 The casting of the Brother Vinni mini is better, Modiphius is bigger and got more details, but somehow brittle. 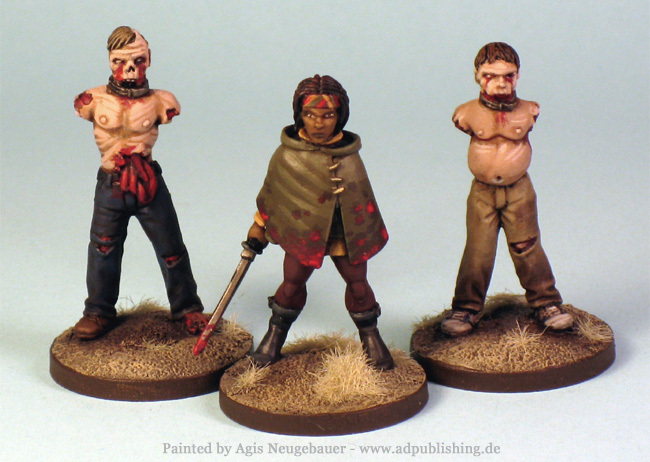 Below you see Michelle (or NOT-Michonne) with her Zombie “Pets” from Studiominiatures. Michonne and Rick - the comic book one handed version! 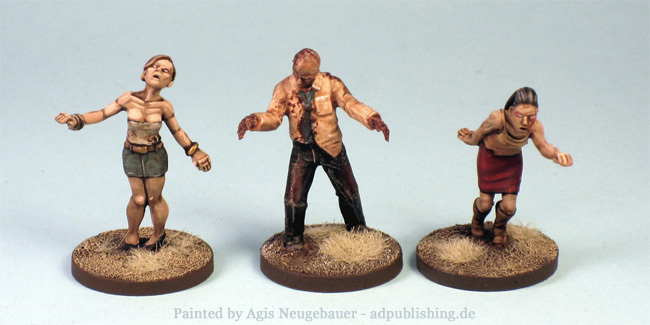 Two walkers from Tengu Miniatures.